On April 3, Nest Labs halted sales of the Nest Protect smoke and CO alarm and deactivated the hush feature, called the Nest Wave, over concerns that the alarm could be unintentionally deactivated. Read our full report. 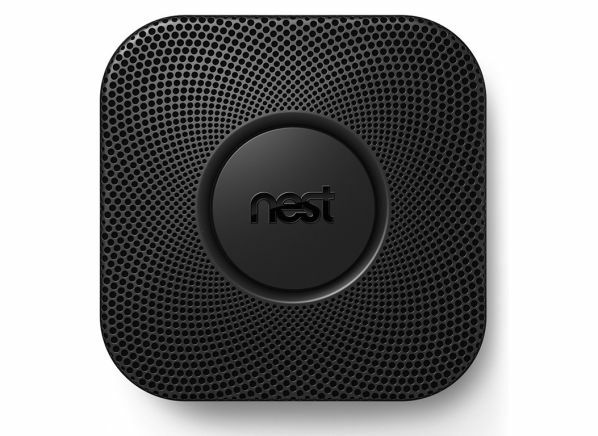 In May 2014, Nest Labs recalled 440,000 Nest Protect Smoke + CO Alarms because activity near the product during a fire can prevent the alarm from immediately sounding when the Nest Wave feature is enabled. For more details read the recall notice from the Consumer Products Safety Commission. The nest Protect is part of the Smoke & Carbon Monoxide Detectors test program at Consumer Reports. In our lab tests, Smoke & Carbon Monoxide Detectors models like the Protect are rated on multiple criteria, such as those listed below. Flaming fires: Flaming fires is response time to paper fires with little smoke. Smoldering fires: Smoldering fires is response time to wood-fed smoky fires. Power supply Power supply The power source of the model. Some have backup batteries. Interconnectable Interconnectable Interconnectable means that the alarm can be wired into a system with other alarms. These alarms on one system will all sound if one sounds. Hush button Hush button A hush button temporarily turns off the sounding of an alarm. If the stimulus for the alarm remains present, the alarm will begin sounding again within a few minutes.